← Announcing a New Addition to the Koons Family: Mercedes-Benz of Baltimore! Announcing the Koons 2012 Biggest Loser Challenge!! 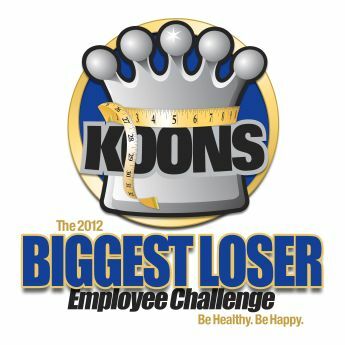 Koons is pleased to announce a company-wide effort to get fit, and get happy – the Koons 2012 Biggest Loser Employee Challenge! One team will have a chance to win a weekend at the Hyatt Regency Chesapeake Resort & Spa in Cambridge, MD after thirteen weeks of sticking to a healthy diet and strict exercise regimen. Here to help us on our way is our very own certified personal trainer, Tiffany Koons! She’ll be here every week for the 13-week challenge to blog about fitness and give us some motivational tips! Congrats, you have managed to get through the first week of a better life. The first week can often be the most challenging. What is challenged is your will power – can you get up 30 minutes early and squeeze in a jog or do a fitness DVD? Are you able to control your portions while dining out? Can you resist those homemade treats that fill your workplace? Each time you make the smart, healthier decision you will be strengthening your control and willpower. Making smart choices and wise changes will pay off big time in the long run. You will look and feel your best. Posted on January 13, 2012, in Fitness and tagged biggest loser, crunch, diet, fitness, gym, happy, hard, health, weight, work, workout. Bookmark the permalink. Leave a comment.